South London’s Pinty makes genre-shifting, infectious music. ‘Tropical Bleu’, the lead single from the MC's debut EP ‘City Limits’, was produced by Archy Marshall - or King Krule - under his DJJDSPORTS alias. Clash is able to share the track and its trippy, subterranean video exclusively today. ‘Tropical Bleu’ has all the hallmarks of Marshall’s woozy production coupled with Pinty’s instantly recognisable, laid-back flow gliding smoothly over wobbly, bendy beats. It’s just a taster of things to come from the Peckham MC. Shifting genres with ease and swerving pigeon holes with finesse, Pinty’s sound takes influence from the introspective poetry of The Streets, the twisted late night moods of friend and collaborator King Krule and the jazz-inflected bounce of production partner Maxwell Owin. 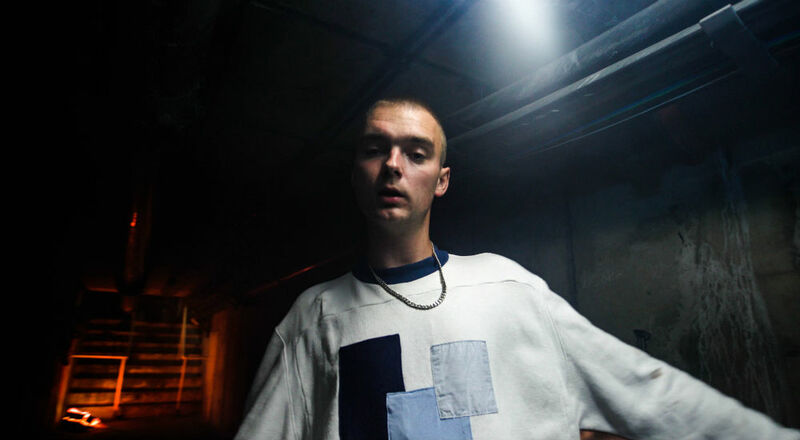 He also hosts a radio show on Balamii - one of South London’s most innovative radio stations - which until recently he shared with Cosmo Pyke, and has supported Rejjie Snow on tour, as well as putting in Boiler Room and festival appearances. Fans can catch him live on 28th December at Peckham's Ghost Notes venue. Upcoming EP ‘City Limits’ - out in early 2019 - traverses hip-hop, house, UKG, jazz and darker electronic sounds. Given the fluid approach to genre and its grounding in Peckham’s vibrant musical scene, Bradley Zero’s Rhythm Section International label is the perfect fit for Pinty’s record. Buy or stream the new single from 30th November from Rhythm Section.